They made hay while the sun shone. 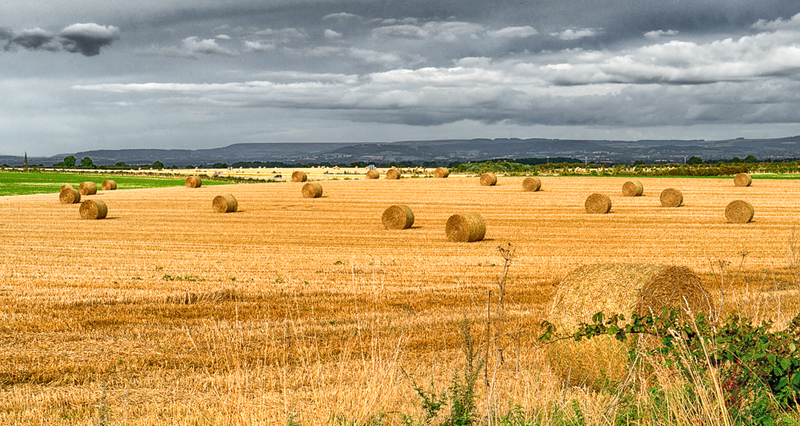 I like the contrast between the threatening sky and the golds of the fields. Me too. I like the big open spaces when you can be experiencing nice weather and see the weather change in the distance.